Axes were important rescue tools to access buildings and assist in clearing paths to trapped and wounded people. A rescue worker wearing the ARP axe and carrier. The 'ARPAX' was manufactured by the Chillington Tool Company Limited of Wolverhampton. Some of these are imprinted with ARP 55 - the pattern number for this item. 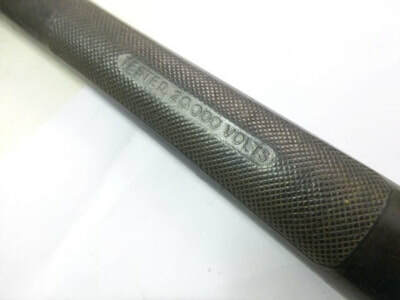 The insulated handle was encased in rubber which provided protection if the axe severed an electric cable (moulded into the handle was 'TESTED 20,000 VOLTS'). 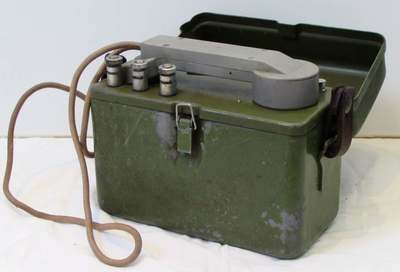 There were three variants of the ARPAX. 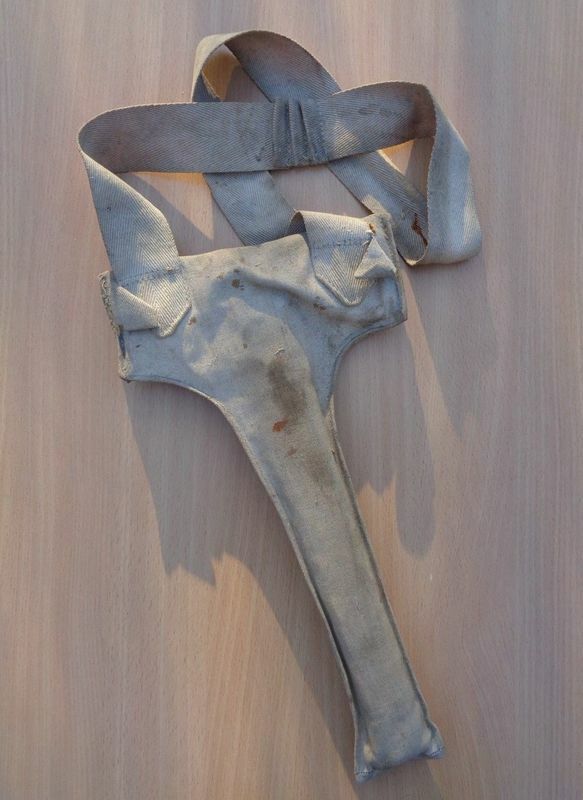 A leather holder was available to hold the axe on a belt. WW2 Chillington ARP Axe - ARPAX. 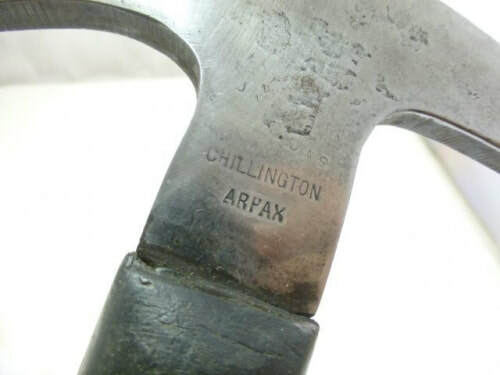 WW2 Chillington ARP Axe - ARPAX marking. 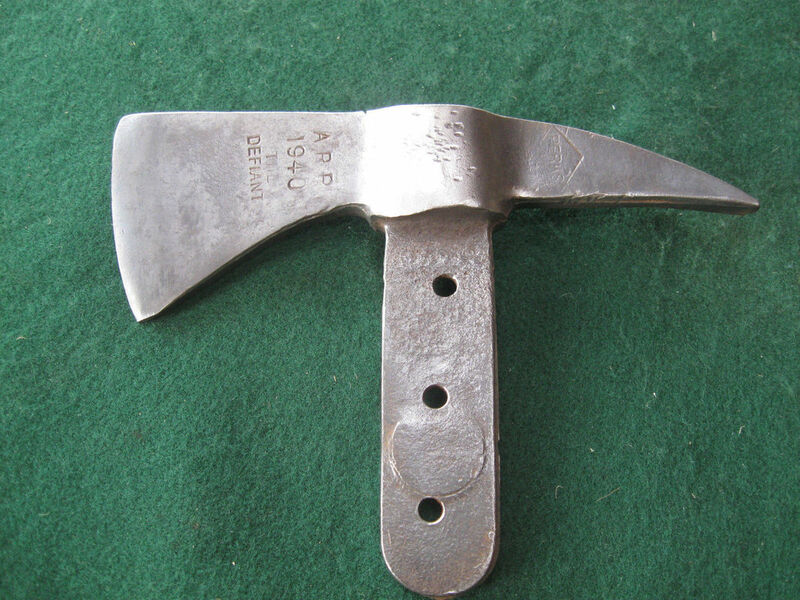 WW2 Chillington ARP Axe - ARPAX handle. 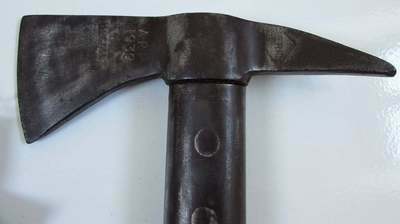 A wooden handled ARP axe was also manufactured by Perks. 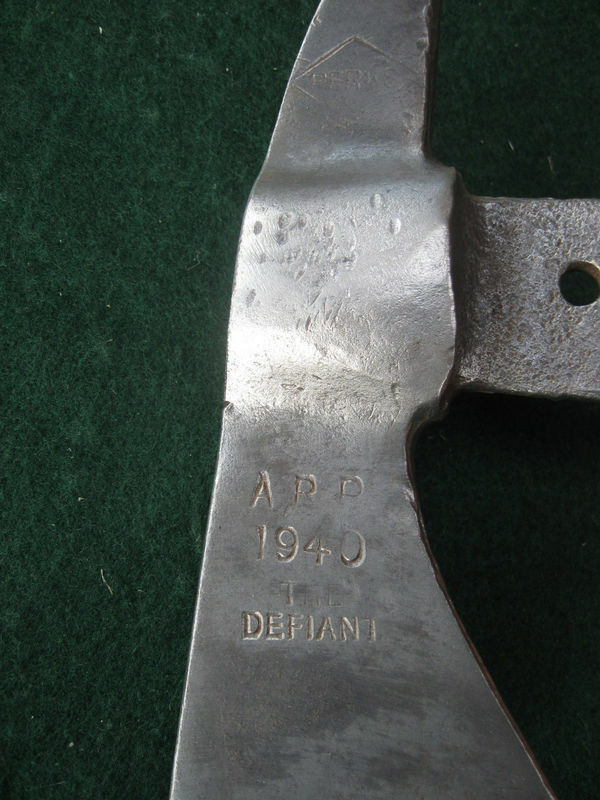 The Defiant ARP Axe - Made by Perks (Side 1). The Defiant ARP Axe - Made by Perks (Side 2). 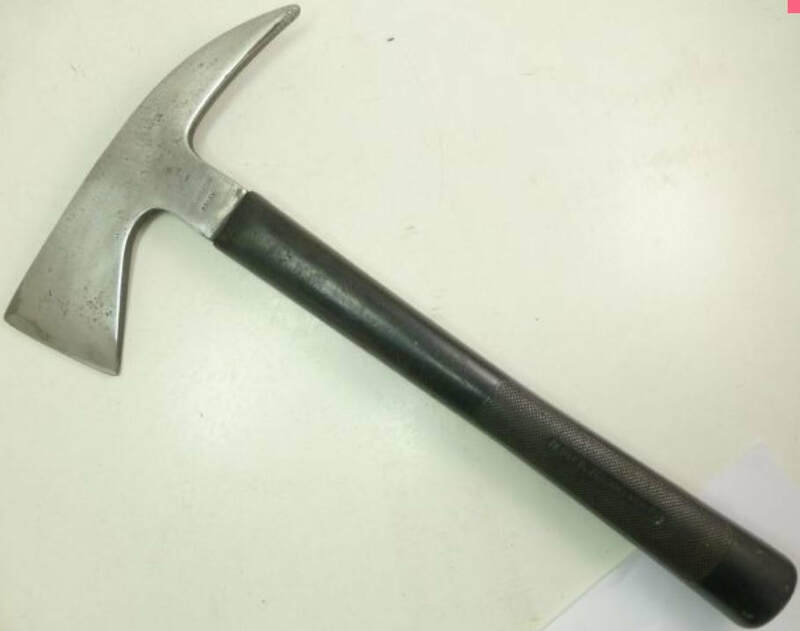 The Defiant ARP Axe - Made by Perks (Marks). At certain air raid incidents the main telephone lines may have been cut. 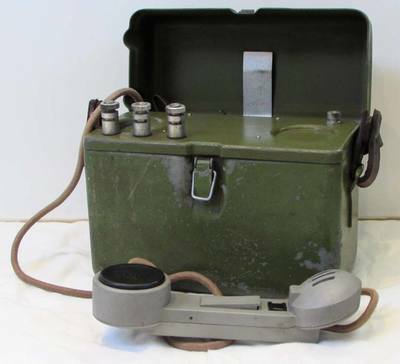 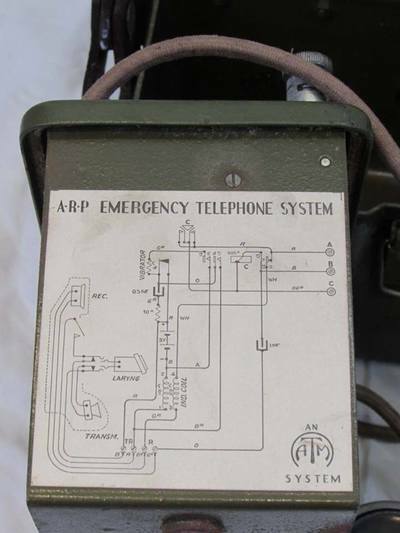 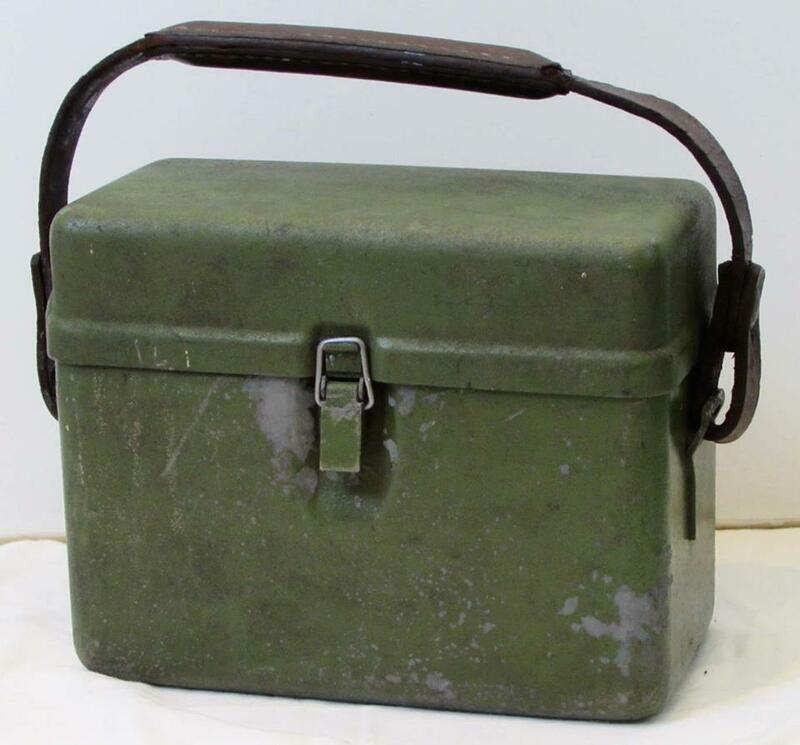 To allow for communications to continue, ARP services (Head Wardens, Rescue Parties etc) could use this portable telephone that ran off two size T dry cell batteries. 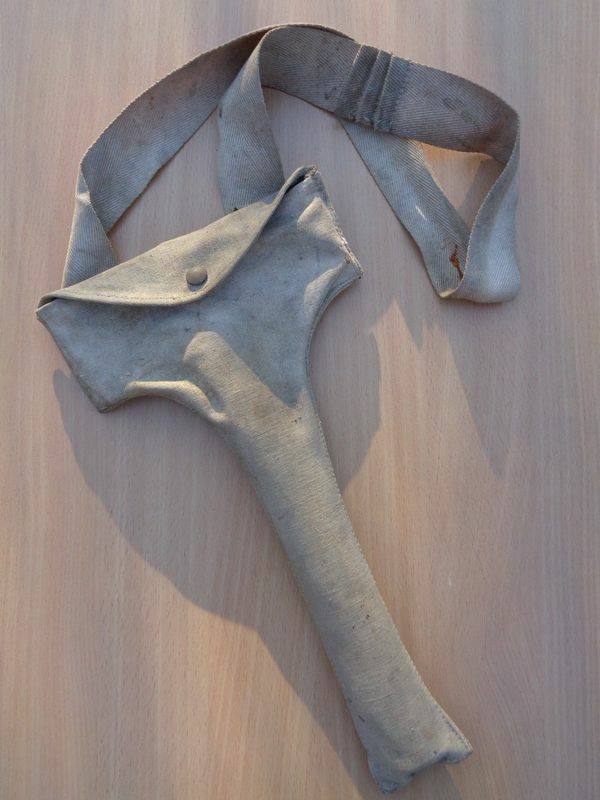 Ceiling pikes and prodders were used to test whether loose debris could be brought down in a bomb damaged property. 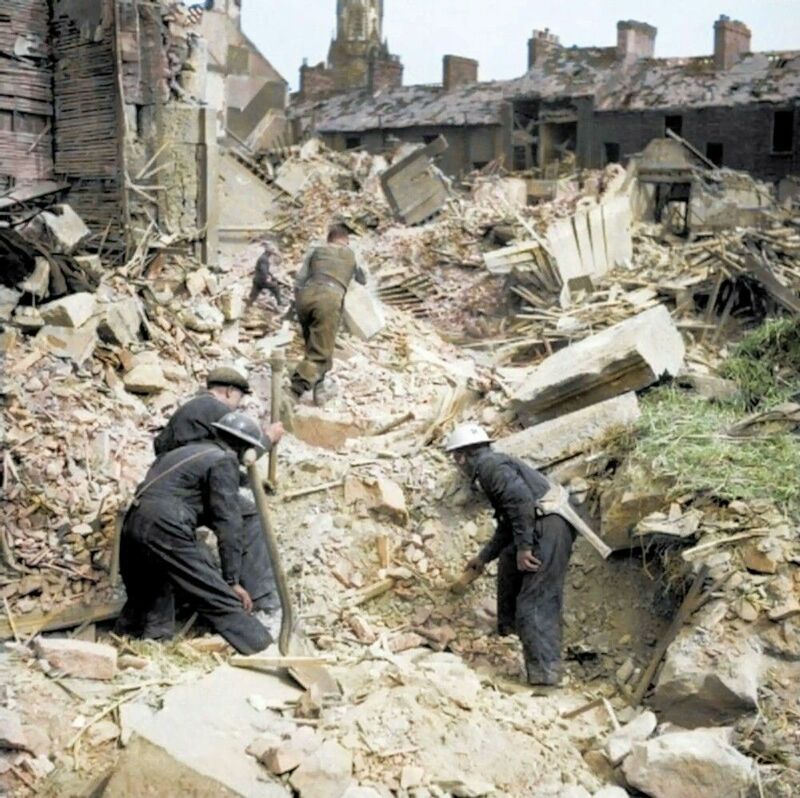 Wardens and rescue services would prod at walls and ceilings to see if they could take the weight of a person for extraction from a building etc. At air raid incidents where electricty supplies were interrupted this emergency carbide work lamp would be used. 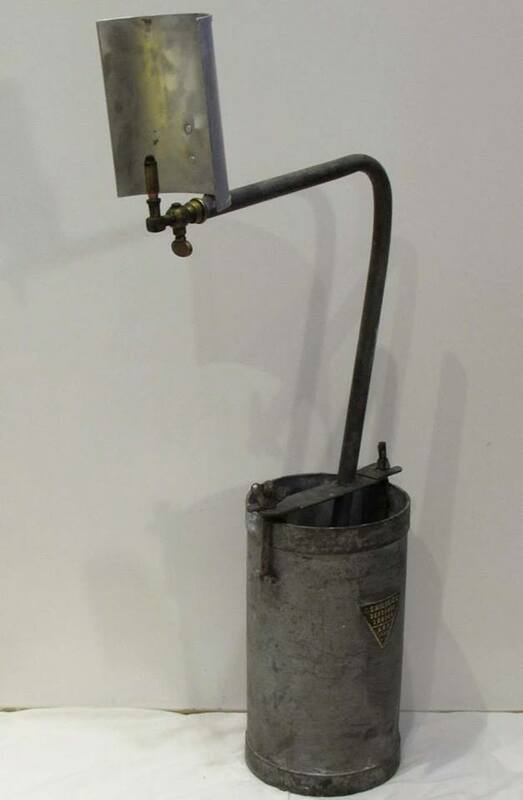 Water would be added to the bucket to activate the calcium carbide stored inside. 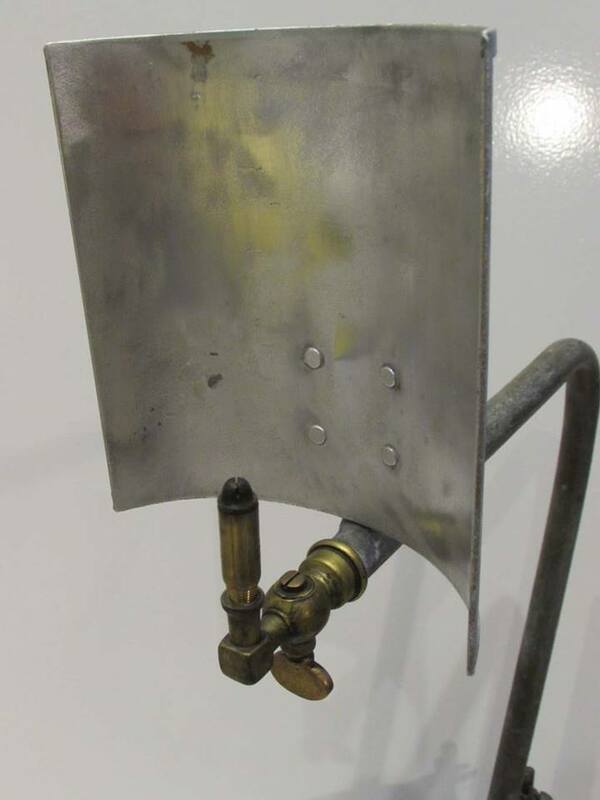 This would create acetylene gas which would pass up through the handle and on to the burner. 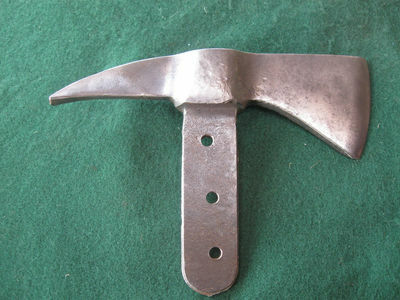 It produced a bright white light, which was reflected by the shield. 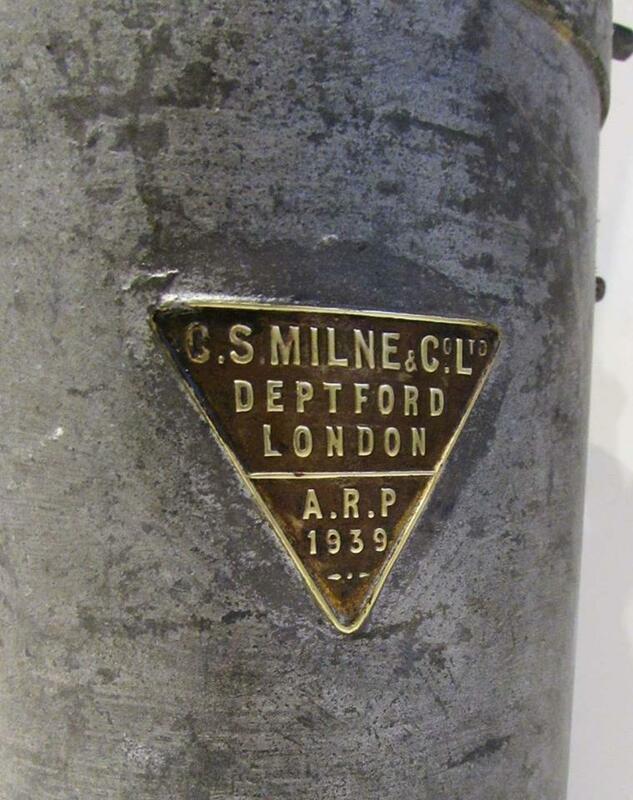 WW2 ARP rescue services emergency carbide lamp. 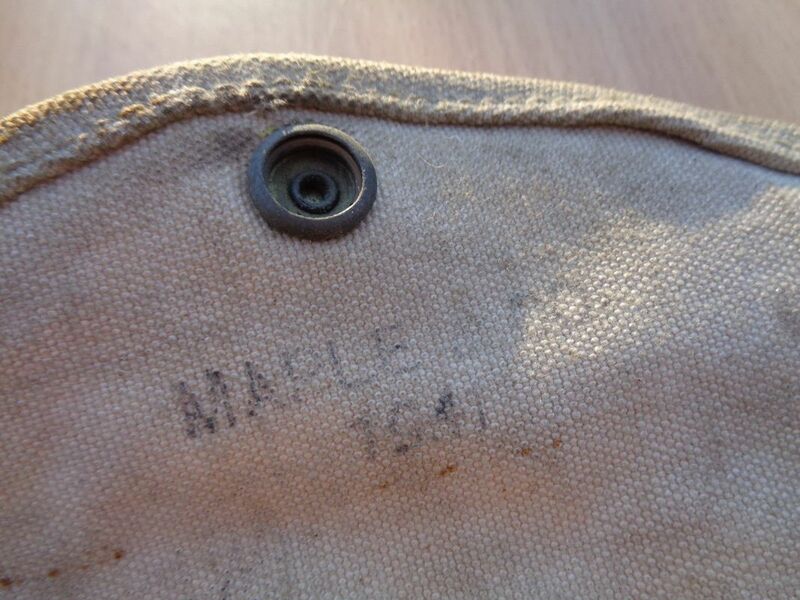 WW2 ARP rescue services emergency carbide lamp - reflector shield. WW2 ARP rescue services emergency carbide lamp - 1939 dated label.